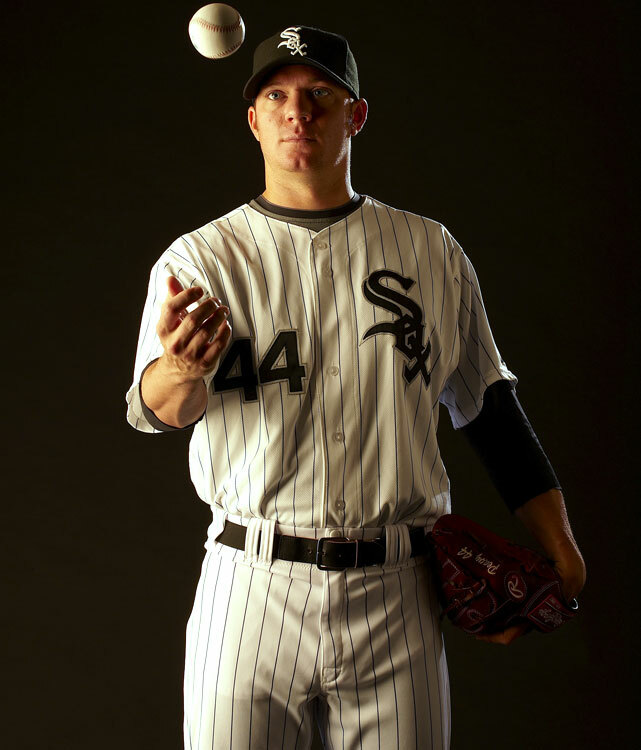 I love Jake Peavy. I miss him. He is in my top 5 San Diego Padres favorite players of all-time. His passion and fire on the mound was contagious. I was very sad to see him go, but at the time, similar to the Adrian Gonzalez trade, I understood that the Padres had to do it. As a big Peavy fan, I followed him on the Chicago White Sox as well and was happy to see him come back from his ankle injury last year. Shortly after, I sat and watched the SportsCenter highlight over and over again of his arm as it looked like it literally detached from his shoulder after a pitch. My arm hurt just watching it. I could see the pain in his eyes…not just for his arm, but because he knew it was bad…real bad. A couple days ago, an article on Jake Peavy and his rehab popped up on ESPN. Written by Amy K. Nelson and titled “Rare faith in the face of a rare injury”, she tells the story of Jake’s injury and his rehab. The article is brilliant. Please take the time to read it in it’s entirety. I remember now, but had forgotten that Jake Peavy and Drew Brees were buddies when they were both here in San Diego. Got me to thinking… the parallels with Jake Peavy and Drew Brees are pretty strong. 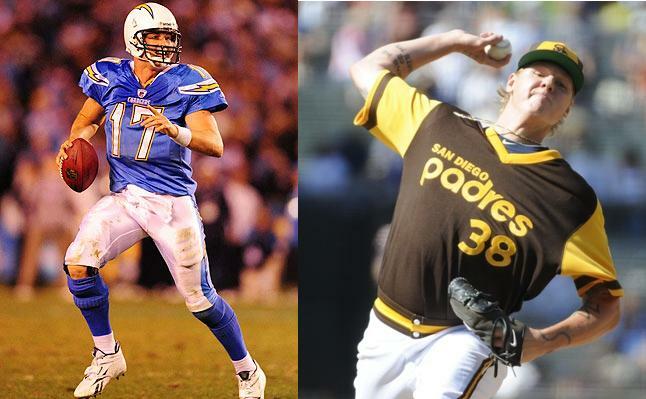 Both served as absolute fan favorites here in San Diego, Peavy for the Padres and Brees for the Chargers. Both ended up on other teams, but they were still beloved and missed in San Diego. Both injured, and Peavy hopes this is where the parallels continue… Brees came back strong, Jake hopes to do the same. It’s funny, I certainly miss both players, but when they both left, I really thought I’d miss them more. Who’s to thank for that? Philip Rivers for the Bolts, and Mat Latos, and his emergence as a legitimate ace for the Padres. I know we may not win championships, but it’s fun to watch Rivers and Latos, and they certainly make missing Brees and Peavy a lot less painful for San Diego sports fans. As for Peavy, so happy for him and so glad he is coming back. His spring training line today against the Giants? 3 IP, 0 walks, 0 hits, 1K. Atta kid, Jake. Keep it up. This entry was posted in Baseball, Football, Man Crush of the Week, MLB, NFL and tagged Adrian Gonzalez, Amy K. Nelson, Chicago White Sox, Drew Brees, ESPN, Jake Peavy, Mat Latos, New Orleans Saints, Philip Rivers, Rare faith in the face of a rare injury, San Diego, San Diego Padres. Bookmark the permalink.